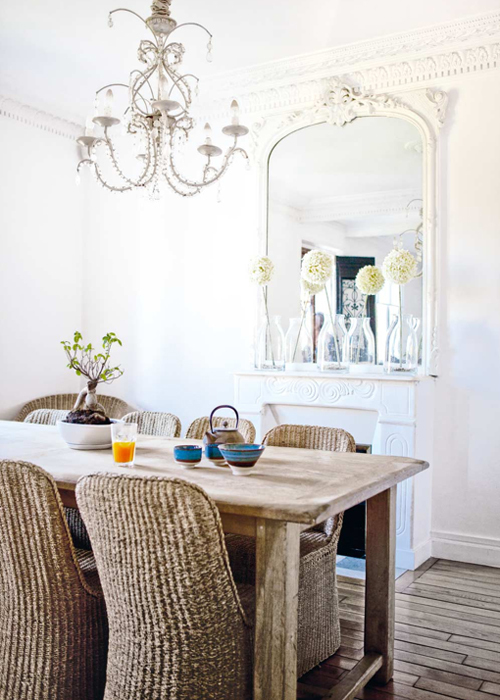 This is the beautiful Parisian home of the owners of stylish children’s boutique Noro in Paris. After an extensive renovation of six months owner Clair could start with the fun part: decorating! Claire loves to reinvent new from something old. Her motto is that you can create an atmosphere with next to nothing. 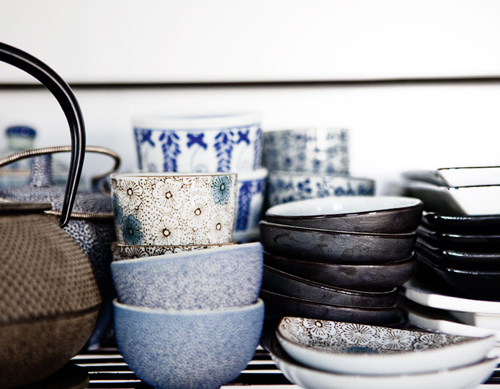 The image above shows her gorgeous collection of Japanese ceramics. 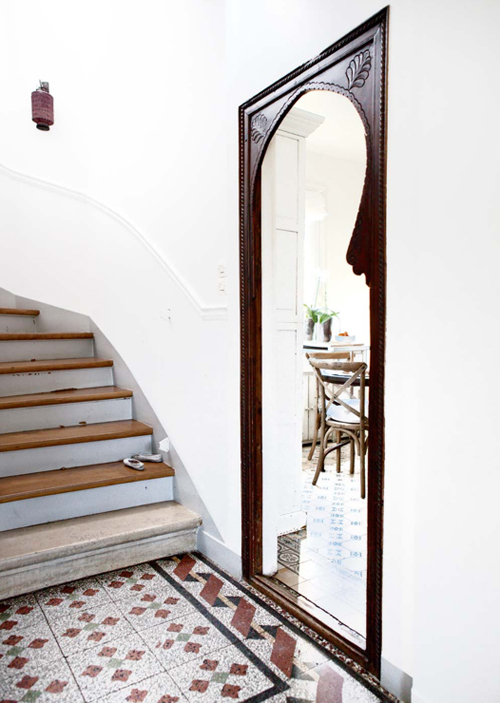 The hallway with a beautiful tiled floor. Grey and black have been used for one of the children’s room. Above the cosy dining room. I have shopped at their childrens store and it too is beautiful. Love the dark crib! The dining and living rooms look amazing!!! 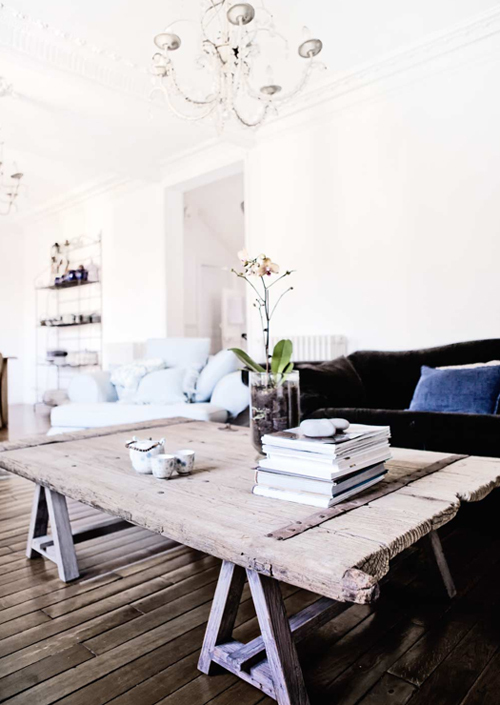 Very inspiring, love the calming neutral tones and the earthy textures, just beautiful. This is exactly the kind of interior design that I love: the calm and space of neutral colours which also adds a little modernity; blended with the warmth of more decadent objects. Beautiful. Beautiful home. I love the nursery!!! I love the front entry! So beautiful and I could sit there all day! Gorgeous home! I love the table in the first photo. I can’t help but to wonder the story behind it. I don’t know about that black crib – pretty creepy. Maybe it would work in the Addams Family mansion, but not here.